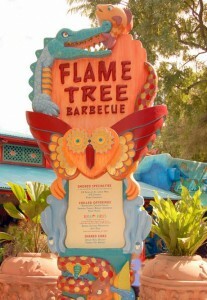 We loved our dinner at Flame Tree. We informed the cashier of our gluten allergy and she immediately sent over the manager. The manager was friendly and immediately brought out the ingredient book. My husband and youngest son are on a strict gluten free diet due to Celiac Disease. My husband ordered the ribs and beans and he ordered the gluten free brownie (OMG brand) for dessert. They gave my son a plate of Grilled Chicken. He was given two chicken legs, a package of grapes and allergy safe French fries that were cooked in a dedicated gluten free fryer. He had the gluten free chocolate chip cookie (Enjoy Life Foods brand) for dessert. It was a delicious meal, and one we look forward to again. 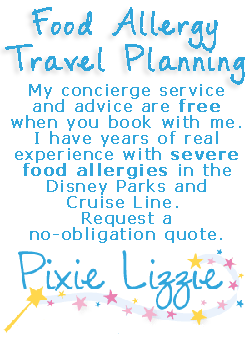 If you would like to review Flame Tree BBQ or any Disney restaurant, submit a food allergy dining Quick Review. We have another fantastic guest review from Tara Wolfe who shared her son’s dining experience with multiple food allergies. Kevin is allergic to milk, eggs, peanuts, all tree nuts and coconuts. Flame Tree is a nice place to get a great bite of BBQ and sit in the shade for a while. I’ve never had a bad meal here. The BBQ sandwiches are huge, but I don’t believe are allergy safe. 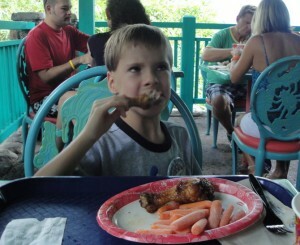 My son just loved the chicken legs though. He kept saying how juicy they were. And their sauce…..WOW! Not too sweet, not too spicy, just right. Kevin also had carrots with his chicken, and grapes for dessert. There is usually a crowd right around “feeding” time, so try to hit this spot on an off hour. The covered eating area fills up quick too, and few people may be there just to escape the heat. Not to mention the birds too. Be prepared as you are dining, there are tons of birds walking around your feet looking for a handout. Some may even hop up on the chair or table! But the area still remains clean. You see Cast Members constantly cleaning the area. And the restaurant staff really keeps the food moving, so there is no long wait. I just hope that in the future, Disney will decide to add some alternate choices for dessert. It seems I get burnt out on those little chocolate cakes pretty fast, since every counter service offers them. 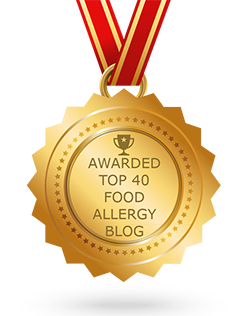 As for advice on how to dine safely with food allergies, here are a few tips when planning and taking you vacation. Dining at a counter service requires no ADRs (Advanced Dining Reservations), so first thing is to speak to a manager. Explain what allergies you are dealing with and they will show you their Food Allergy Binder. It lists all the products including the ingredients. The manager will personally prepare the food and deliver it to you. Thanks, Tara, for submitting this review of Flame Tree BBQ. You can read more about her experience on her blog at The Wolfe Pack. If you found this helpful, please be sure to give her a thumbs up and/or share this on Facebook.